Bowing to immense public pressure, GrubHub announced today that it will no longer permit the sale of food products made with shark fin. "We deeply value our relationships with restaurants that provide Chinese cuisine on GrubHub and feel this is the right choice to protect the world's endangered species," the company said in a statement. The decision comes after a public awareness campaign spearheaded by ocean advocacy group Oceana, which last year called on the popular service to take a stand for the ocean's apex predators. Although the company responded by immediately removing shark fin soup in nine states where the sale of such products is prohibited by law, fins continued to be available in much of the country -- until now. "Sharks are worth infinitely more swimming in our oceans than in a bowl of soup," Lora Snyder, Oceana campaign director, said in a news release. "With the ability to influence over 35,000 restaurants in 900 cities, GrubHub has shown corporate leadership with this decision. Oceana applauds GrubHub for doing the right thing, and we encourage other businesses to follow their lead." Shark fins are a highly valued commodity in Asia. An essential ingredient in shark fin soup, the fins also have traditional medicinal applications. An estimated 73 million sharks are killed annually for their fins as part of the international shark trade. 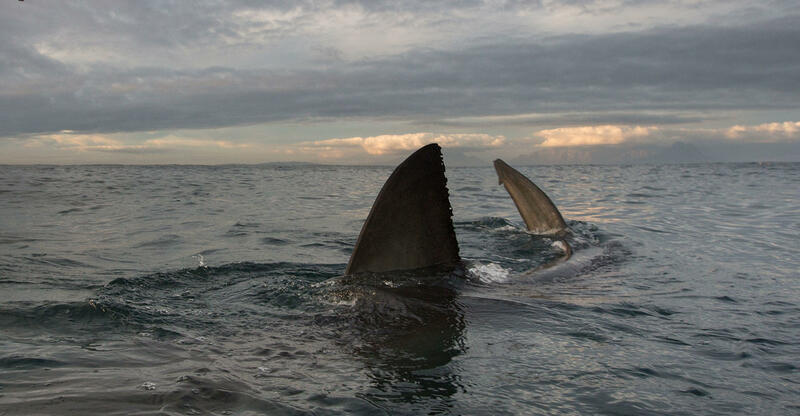 Federal law in the United States currently prohibits the removal of shark fins from live sharks, but only a handful of states have laws on the books that prohibit the sale of shark fins. Earlier this summer, Texas became the most recent state to ban the sale of fins.